I’ve just started up playing Fire Emblem Echoes: Shadows of Valentia. It’s a remake of the Famicom exclusive Fire Emblem Gaiden. I’m making my way through the early hours of the campaign. It’s been a challenging game that I can’t put down. 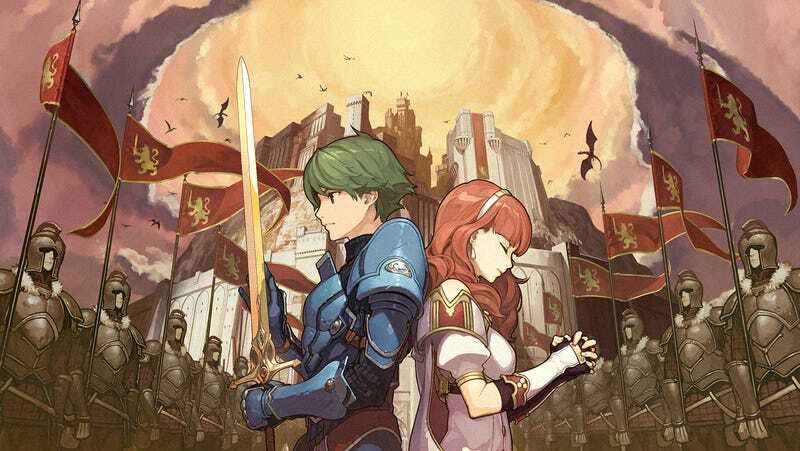 Fire Emblem Echoes tells the story of Alm, a simple peasant, and Celica, a girl with a mysterious past, as they each get caught up in a nation spanning conflict full of intrigue and massive battles. I adored Awakening’s broad, heroic narrative and got pulled into Fates multiple paths. Echoes tones down the bombast for a grittier tale of class warfare and moral ambiguity that I’m really enjoying. It also mixes and matches all sorts of mechanics from games across the franchise. 1. This game is difficult. Echoes builds its foundation off Fire Emblem Gaiden, which means that many of the modern flourishes of later titles are largely absent. You can’t pair allied units together anymore for offense and defensive benefits. Units largely operate independently and you’ll need micromanage a little bit more to survive. Much of the difficulty comes from how prominent certain systems are. This is a game built around defensive attributes. Attack effectiveness is weighed against defense stats in a simple “Proposed attack minus target defense equal actual damage” formula with a lot more preference on the target’s defense. Recent Fire Emblem titles were burstier with their combat, favoring big hits and combination attacks. Here, a single enemy with a sturdy shield is a force to be reckoned with and overly aggressive play will lead to the loss of your most valuable units. It’s tough but really fun from a tactical perspective. This is Kliff. I turned him into a mage and he’s unstoppable. One of the most exciting things about Fire Emblem is watching characters flourish into powerful warriors. Echoes takes a measured approach. Experience points are doled out conservatively, making the initial climb to effectiveness a more deliberate process. The initial portion of the game hands you a party full of the basic “Villager” class and it takes a while before you can grind out the experience necessary to advance them and make a cohesive army of mages, archers, clerics, and knights. The end result is that the early game can feel a bit stunted. Early engagements are incredibly basic and are mostly a matter of who can beat who first with a rusty sword. It does make later character advancement feel suitably rewarding but getting over that initial hump definitely affects early game pacing. Consider investing in mages as soon as possible for a faster experience. 3. Dungeons are very cool. Throughout the game, you will find various hideouts and dungeons that you can explore. Entering them leads to an experience more akin to an MMO-dungeon delve. You’ll move from room to room, hunting for treasure and attacking monsters. Combat moves seamlessly from exploration into strategy battles. Sneak attacks will even weaken the enemy heading into the tactical portion. It ends up working really well and it’s neat to get to really explore a space before battling in it. It’s possible that longer dungeons might be exhausting but for now they’re one of the real highlights of the game. 4. There’s strong writing and voice acting. Echoes manages to balance large scale politics and personal concerns. The high level politics involve coups, class tension, and populist rebellion. These topics are not given an exhaustive exegeting but they are present throughout the experience in a way that never feels token or perfunctory. You get a sense for the setting’s political landscape far better than the more recent 3DS titles. This pairs well with a fully voiced story that also has a pretty charming localization. It gives each character a distinct personality that really comes through in the vocal performance. I found myself sitting down to listen to most scenes, watching as if I were enjoying a well dubbed anime. I’ve really been enjoying the narrative here. It doesn’t quite hit the romantic heights of Awakening but the presentation is great and I’m eager to press forward. 5. Amiibo use makes battles too easy. There’s two optional dungeons to access if you have the Alm and Celica amiibos that will release alongside the game. They’re very challenging and I’ve yet to complete more than the first phases. It’s pretty neat. However, the bigger issue here is the ability to summon units in the middle of battle. Using amiibo, Alm and Celica can summon spectral warriors for a single turn. These can range from a single mercenary to powerful armored knights or fan favorite characters like Lucina. It gives one hell of an advantage if you have a cleric to replenish the HP that is also spent in the summoning process. Effectively, you can have a slew of spectral soldiers to do your bidding. I recently acquired a stockpile of vaguely illicit amiibo bootlegs which give me access to an army of minions that can completely dominate battles for me. My advice is to save amiibo for a last resort and to approach the game as if those cute little toy statues never existed at all. 6. I want to play more. Right now. 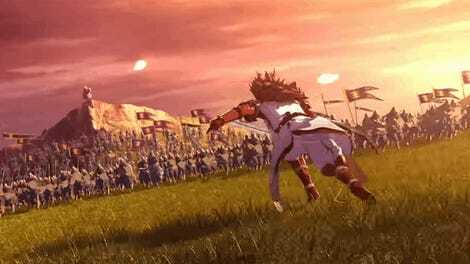 Tactics games have a wonderful pacing to them and Echoes is no exception. Moving from bombastic story sequences to tense battles keeps me engaged in a way that few other genres can. There’s a lot to do here. You can wander villages and talk to people, explore dungeons for hidden treasures, bolster you troops’ equipment and skills, and engage in massive battles. Underneath all of this is a story that I’m interested in, with two protagonists seemingly set to clash in a tragic battle. Perhaps not as twisting and well reasoned as the great war time politicks of Suikoden II or Final Fantasy Tactics, but constructed well enough that I want to know more as soon as possible. And really? It’s just been a lot of fun.